This work provides students with easy-to-read guidance on fieldwork, sampling, laboratory studies, project work, and computing and communication skills. Text is supported by numerous illustrations and tables, and there is coverage of the necessary information technology. Field and laboratory studies are essential components of undergraduate training in Environmental Science alongside transferable skills such as computing and study skills. Practical work must be fully understood and effectively presented, but many students under-perform as they aim to acquire complex skills across a range of disciplines with limited opportunities for practice. 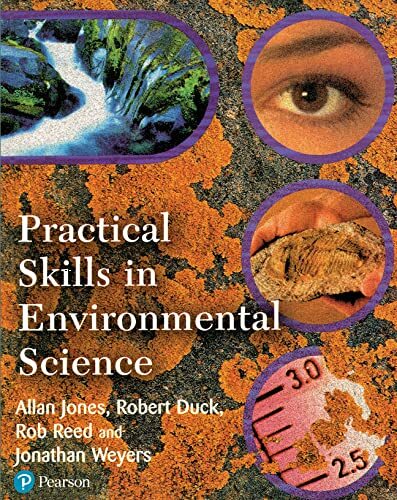 Practical Skills in Environmental Science provides students with easy-to-read guidance for fieldwork, sampling, laboratory studies, project work and computing and communication skills, building on the strong reputation of the Practical Skills series as essential texts for those who wish to succeed. Practical Skills in Environmental Science is an indispensable book for undergraduate students in environmental science. This book supplements any practical course in environmental science and provides useful support at all stages of a degree course. It is also a valuable resource for teachers in secondary schools.